Data Protector 10.04 brings improvements in the Scheduler and adds other enhancements to the user experience. It also introduces new platform integrations and virtualization improvements. 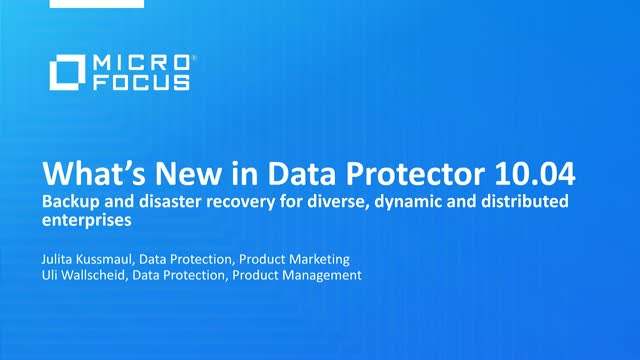 Data Protector 10.04 offers our first integration with Micro Focus Operations Orchestration which allows automation of backup operations using workflows. See a live demo of the new features.